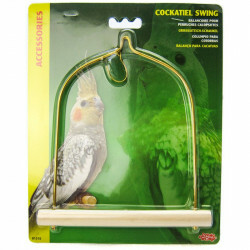 Few things delight a bird as much as a good swing to perch on and rock back and forth. 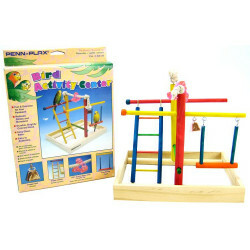 Intelligent pet bird species like parrots, parakeets and cockatiels particularly enjoy the mobility and fun of a swing, as it gives them a chance to "show off" their often clownish behavior. 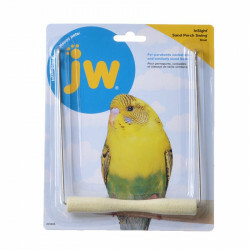 Keeping a bird's mind engaged with activities staves off boredom and promotes healthy living. Not to mention, watching a bird act silly is one of the best reasons to have one! 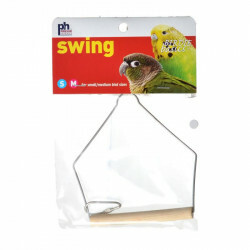 Pet Mountain's Bird Swing store features quality bird swings and perches from Penn Plax, Living World, JW Insight and Super Pet that are easy to attach to any cage for an instant upgrade. 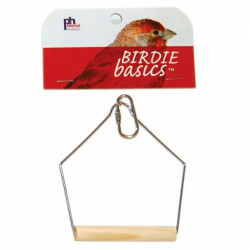 These swings are made with quality hooks and real wood perches. 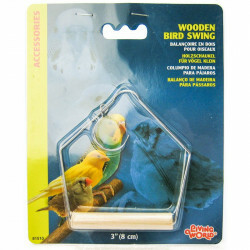 Wood perches allow birds plenty of purchase so they can swing to their hearts' content.